Dr. Christine Belaire is a counselor, author, instructor, and facilitator. ​Dr. Belaire has worked as a clinical mental health counselor since 1998 and is the owner and director of Belaire Counseling Services, LLC in Baton Rouge, Louisiana. Dr. Belaire received her Doctorate degree in Counselor Education from Mississippi State University, her Master's degree in Counselor Education from Louisiana State University, and her Bachelor's degree in Psychology from Harding University. 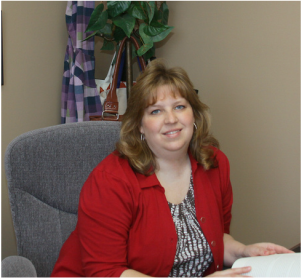 In addition to her practice, Dr. Belaire teaches in various Master’s in Counseling programs. Currently she is contributing faculty for Louisiana State University in the Clinical Mental Health Counseling department and at Lamar University in the Counseling and Special Populations Department. Dr. Belaire has also been adjunct faculty Walden University has taught at Mississippi State University. Dr. Belaire is an authorized facilitator for Darkness to Light’s Stewards of Children childhood sexual abuse prevention curriculum and regularly teaches classes on childhood sexual abuse prevention through the BASE program. Dr. Christine Belaire and Dr. Sacky Holdiness are the authors of Journey to Fantasiaplasia: The Fantasy Adventures of Polly Esther and Rapunzel Rose, a delightful picture book about best friends who travel together in their imaginations to experience fantasy adventures. Journey to Fantasiaplasia is the first in a series of books designed to help children harness their creative gifts and channel them into entertainment and adventure. Visit www.ParfaitPublishing.com for more information or to purchase the book. Additionally, Dr. Belaire writes articles for local publications and academic journals. Her articles have been published in Baton Rouge Parents Magazine, Baton Rouge Baby, Northshore Parents, and Counseling and Values.